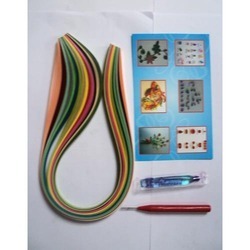 Wholesale Supplier of a wide range of products which include quilling strips, blow pen 6pcs set 4 stencil free, fashion string with bead, fashion string glitter and fashion string with key ring. 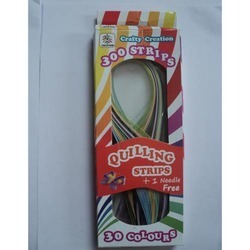 We are among the most sought after companies which deal in the offering Quilling Strips. Our experts have taken the initiative to supply these beautiful and visibly attractive printed Quilig Strips + 1 Needl Free to our diverse group of the clients. We ensure that these would capture the imagination of the clients at first go. These are available in wide ranging shapes and sizes. In addition to this, these have variety of specifications that would leave a beautiful impression on the minds of our clients. 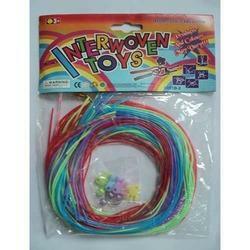 As a renowned company we are engaged in offering a wide range of Scooby Lace. As these laces are easy to use and are safe these are highly demanded by our customers. These can be availed in different colors which are highly attractive. 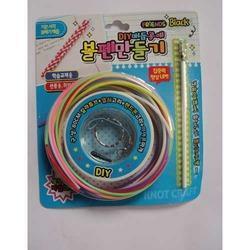 These laces can be used for coloring a variety of fabrics and these are smudge free in nature. These are available at reasonable prices. 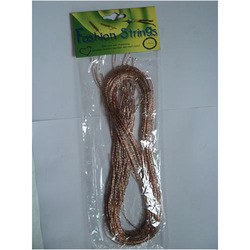 As a well known company we are engaged in offering a wide range of Fashion String With Bead. These have a fine quality and can be therefore expected to give an excellent performance. These have been designed keeping in mind the safety of children as these do not have a negative impact on the skin even when they come in contact with it. 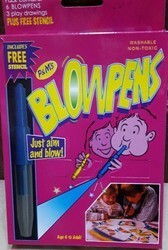 These can be easily purchased at reasonable prices. Looking for Scooby Wire ?